As Master Plumbers we guarantee our workmanship, so regardless if you have a small plumbing request, or a difficult specialised installation, you will have your job completed to the highest standard. We have CCC Approved Drainlayers for all diameters of pipe - whether you have a blocked drain, need minor drain repairs and alterations, right through to major commercial and sub-divisional drainage. 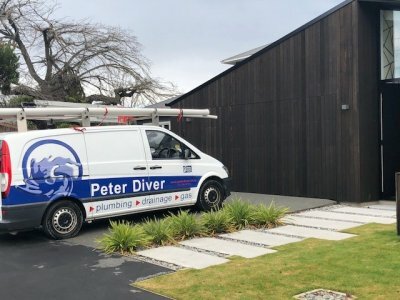 Peter Diver Plumbing offers the services of craftsman gasfitters with over 20 years experience, ensuring safe, legal installation of your gas appliances at a high standard of workmanship. It is our commitment that every project is completed on schedule to the highest quality in a safe environment. We are Site Safe Green registered and we follow the strictest policy compliance. We have completed projects from small commercial warehouses right through to multi complex buildings and offer a design and build service. 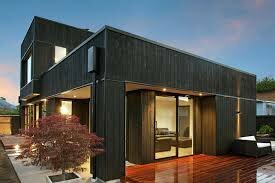 We work with many housing companies and architects, and have a dedicated team to ensure work is completed on schedule. We love a challenge and have been involved in many award winning homes. Our Maintenance team is ready to help, from blocked drains, tap washers, water filters or your new hot water cylinder installed. No job is too big or small.